Liverpool, Anfield this evening for Channel 5 Television with their bespoke banner, showing their logo and earlier today, I was over Reading in Berkshire towing a banner for Acorn HIPS. 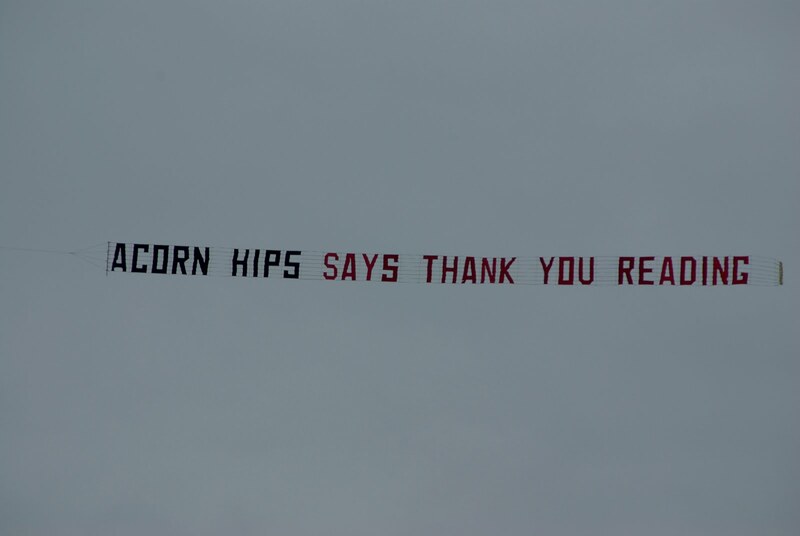 Airads has a busy Bank Holiday weekend ahead, starting with a two hour detail for UKIP around the western side of Birmingham and finishing with a marriage proposal from the Isle of Wight on Monday afternoon. Strangely enough, we have two more Anfield flights booked for Sunday, one for a fan who wants to propose to his partner and the other for the official Liverpool fans at Midday. I'm hoping that the weather in Cheshire will be rather better than the awful forecast now confronting me for south-east England from Saturday night to Monday morning! 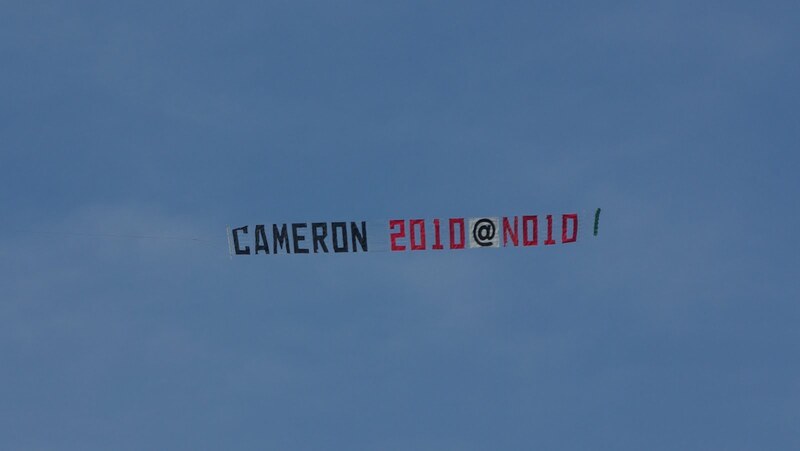 A surprise for David Cameron, with a banner message: 'CAMERON 2010@No10' this morning at Grays in Essex! Next-up is the pop concert the afternoon at Camber Sands, with a rather different message and one that to be honest ,as a simple pilot I'm too old to understand: "WHEN HARD CREW RULED THE WORLD." Now, if only someone would tell us what Gordon Brown's schedule is, we could have a special election message flown for him too! Airads was flying a giant St George's Day flag over Bradford today, following the annual procession with the huge banner that the city purchased for such special occasions, last year. Another romantic flight over Leeds Castle again this week, with a special message for "Jo Jo" from "Jimbo" that he loves her with "ALL HIS HEART." One of the finest days of the year too! Airads was flying a banner over the first Brighton marathon this morning. On the way there, I found I was the only pilot in the entire south of England on frequency with London information, the threat of volcanic dust, having convinced many pilots to stay on the ground. 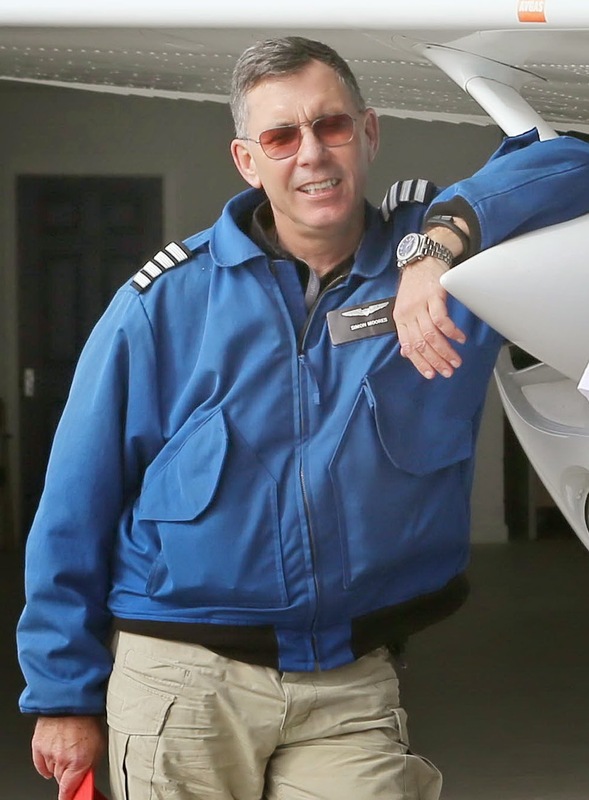 However, dust is only a real threat to jet aircraft at high altitude and not piston engine aircraft at low level with dust filters fitted to their engines as standard. "GOOD LUCK BIG BIRD - I LOVE YOU!" 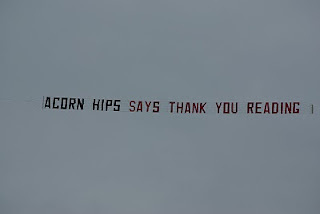 Hopefully 'Big Bird' was insprired by the message flying overhead!